You can catch the 41st annual Macy’s 4th of July Fireworks show at roughly 9:25pm on Wednesday, July 4th, lasting for 25 to 30 minutes. When else can you witness over 3,000 pyrotechnics per minute in 25 different colors plus 20 new shells and effects including “neon pinwheels, swirling water fountains, brocade horse tails, ghosting fans, blooming ring chases, and pulsing hearts,” as announced on the Macy’s 4th of July Fireworks website? The largest fireworks display in the nation, this spectacular pyrotechnic display gets better each and every year. But if you want to avoid massive Manhattan crowds, head over to Williamsburg, Greenpoint, or Coney Island (alas, the Brooklyn Bridge barge is no more). 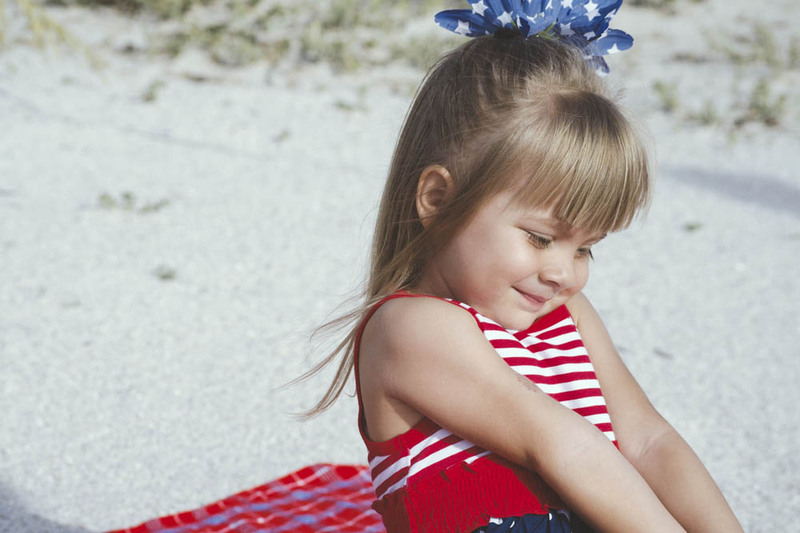 Below are our not-so-secret but totally prime spots to catch the fireworks in their 4th of July glory! 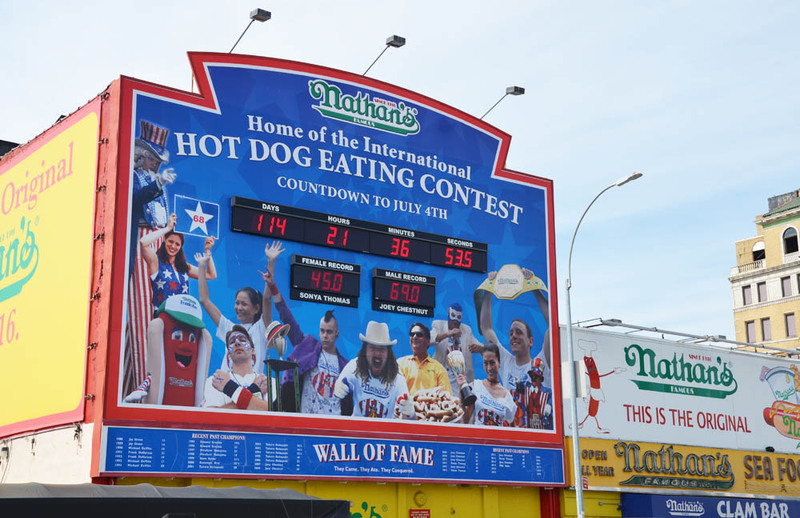 If you want to spend the whole day celebrating, begin @ 10:50am with the 46th annual Nathan’s Hot Dog Eating Contest at the corner of Surf and Stillwell Avenues, and continue to revel in live music and amusement park rides until the fireworks begin. You can also check out the incredible new 57,000SF shark exhibit at the New York Aquarium for half price through September 3rd. 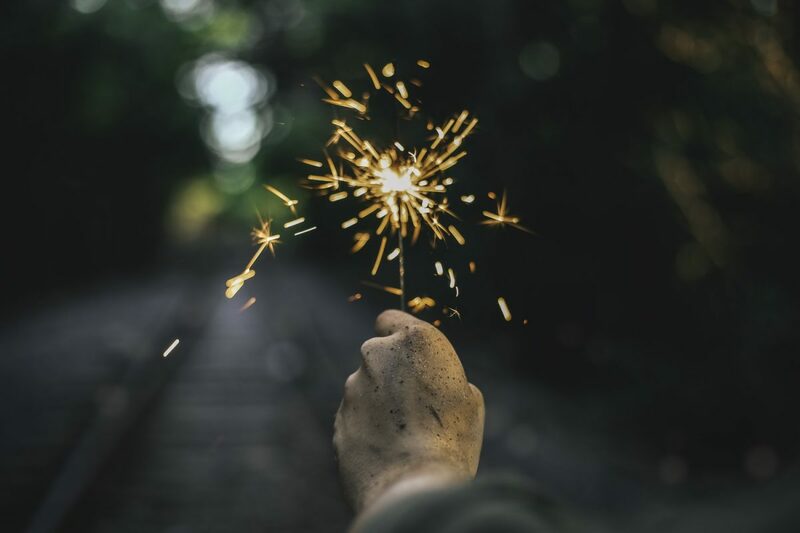 For the best views of the fireworks, head over to the Coney Island Beach and Boardwalk, between West 10th and West 15th Streets, or a bit further towards Brighton Beach. If you party too hard during the day to stick around for the nighttime fireworks on the 4th, don’t fret — every Friday night through August 31st, there will be more fireworks at West 10th Street with Coney Island Friday Night Fireworks. For only $10, you can enjoy America’s favorite pastime @ 6pm on July 4th and cheer on the Brooklyn Cyclones as they face off against the Aberdeen Orioles, followed by a post-game fireworks display. Even if you forego the game, you can still see the fireworks from the pier along the boardwalk. This 5-acre public park debuted to the public in early June and is situated along the East River near the site of the old Domino Sugar Refinery. Until around 4pm, you can enjoy the bocce and volleyball courts, playing field, playground, dog run, Pier 2 pop-up pool, central gathering area Water Square and elevated Artifact Walk. Situated directly below Artifact Walk is Tacocina, a Danny Meyer taco stand, where you can grab some fried mushroom and shrimp tacos, fried cheese tacos, chips and guacamole, cheese chicharrones and margaritas on your way to find a prime spot to settle in for the show. With a magnificent view of the Manhattan skyline, this 7-acre expanse along the East River merges historic relics like cobblestone streets with brand new condo developments along the southern edge of the park. Because it’s a state park, there are rules surrounding alcohol, dogs, and bicycles. Farther from the barges, you should still be able to catch a good view of the fireworks to the south and north, and with a bit more breathing room. 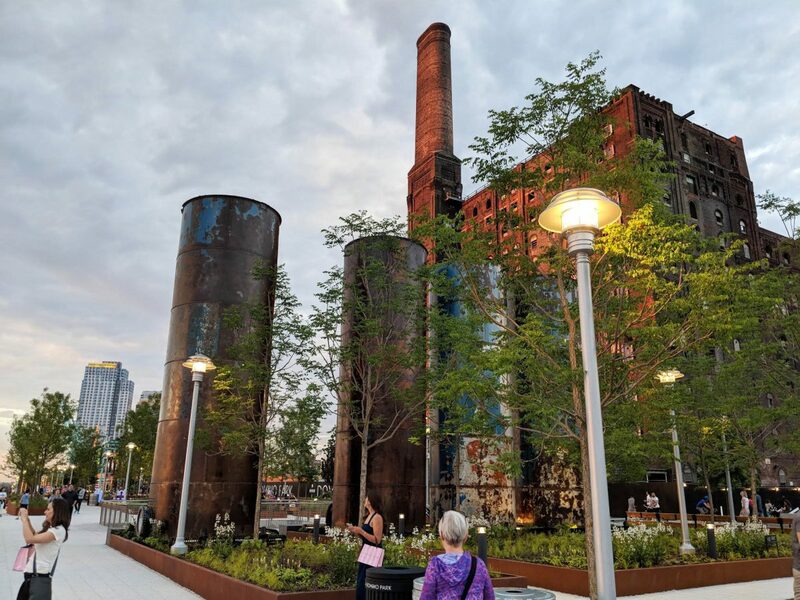 This green park is within five blocks of the former Domino Sugar factory lot and marked by a 70 ft tall brick smokestack that once belonged to an old molasses plant. Head to the 3,000SF roof deck of this sprawling beer hall to enjoy unobstructed views of the Manhattan skyline, a bar food menu, a selection German beers, and frozen cocktail slushies. You’ll want to arrive early to snag a good spot here, as it’s slightly closer to the fireworks than the Williamsburg parks listed above, and therefore a prime spot to enjoy the show. This waterfront boat bar gives you an up-close view of the fireworks overhead. Enjoy BBQ, seafood, cocktails, beer, and more. Tickets begin at $155. Guests must be 21 years or older. Departs out of Sheepshead Bay. Tickets are still available for a family-friendly ride on the Pink Lady, complete with dinner, a cash bar, a DJ, and incredible views of the fireworks. Tickets are $129 per child and $175 for adults. 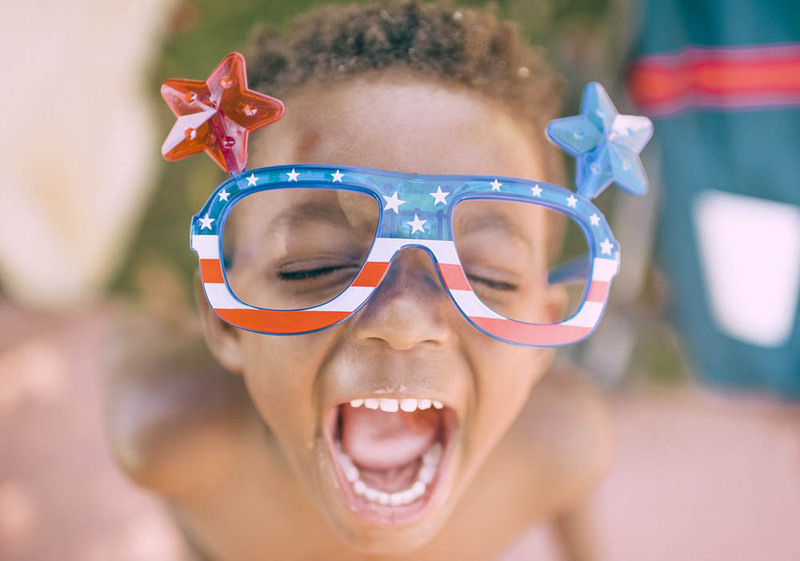 If your little ones can’t stay awake to catch the fireworks this year, they can still enjoy the 4th with an afternoon of kid-friendly activities in Prospect Park. You can cuddle up to watch the fireworks on NBC from the comfort of home, from 8-10pm. Be prepared that the NYPD can close any park or street at any time at their discretion, so have a backup plan in mind. Driving is definitely not advisable. Expect crowds wherever you go. Stay safe, everyone, and have a happy 4th of July!